Girard-Perregaux's Mechanics of Style - the answer to what's been missing in my life! 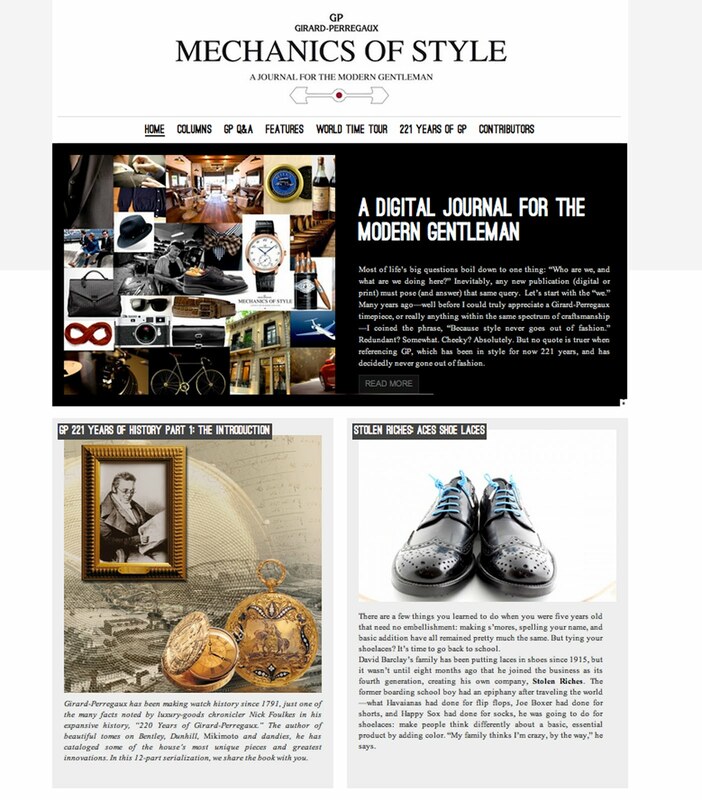 Mechanics of Style: A Journal for the Modern Gentleman has been created to become one of the world’s leading online men’s luxury resources and to serve as a digital gateway to the good life. Highlighting all the elements that make a niche modern gentleman – from bespoke suits and bench-made shoes to travel and culinary pursuits, in line with the values of Girard-Perregaux watchmaking standards. Those of you in North America might recall the heady days of 2006 - 2008 when Men's Vogue fought the good fight to bring some level of sophistication to our shores - fashion - but not just trend or "of the moment" but actual content about the people behind the labels, the story behind the craftspeople who put effort and passion into what they did. In fact, as a newly minted PR guy for DOXA, I was able to get a one page story written about the DOXA SUB 1000T Sharkhunter. As I said, heady days!